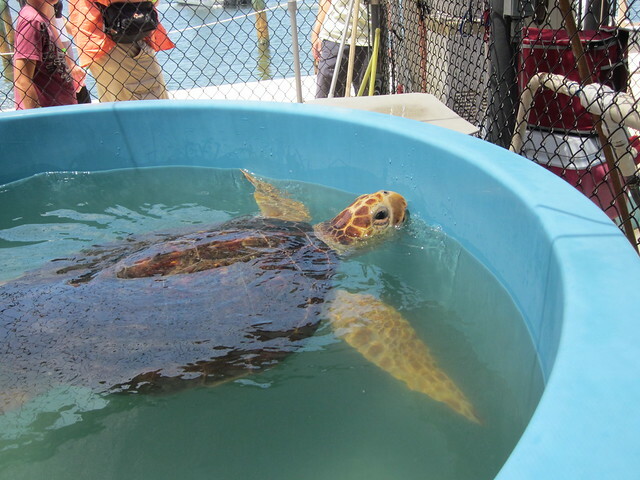 While in Florida this past summer, on our way from Key West to Miami, my husband and I had one of the most memorable and educational moments of our trip: a visit to The Turtle Hospital in Marathon. 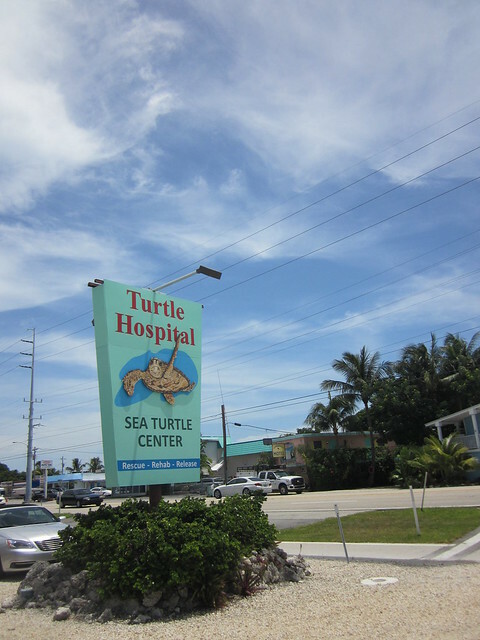 Opening its doors in 1986, The Turtle Hospital began its life originally as The Hidden Harbor Motel and eventually morphed into a full-time turtle rehabilitation facility. 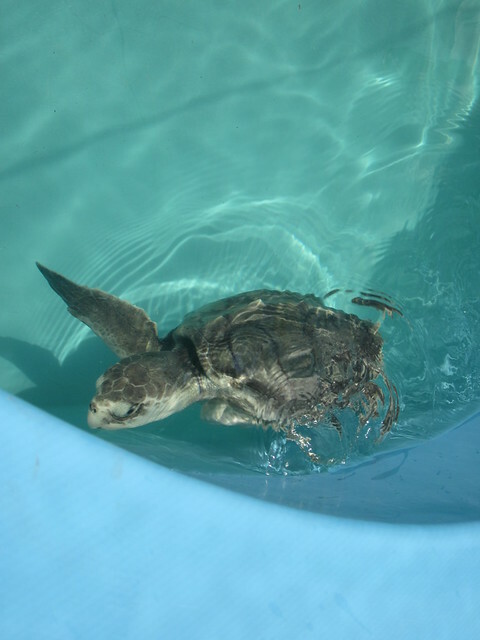 In the 26 years since its inception, they have treated and released over 1000 sea turtles. Today it is not just a rehabilitation facility but also an educational and research facility. They offer daily tours to the public in order to help raise funds for the medical treatment and equipment that is needed for its temporary and permanent residents. You can also buy Turtle Hospital merchandise like t-shirts and hats, and/or adopt a sea turtle to help them raise much-needed funds. Reservations are recommended if you want to take a tour, but we lucked out because we just stopped by on our way to Miami and there was still room for us on the 12:00 tour. 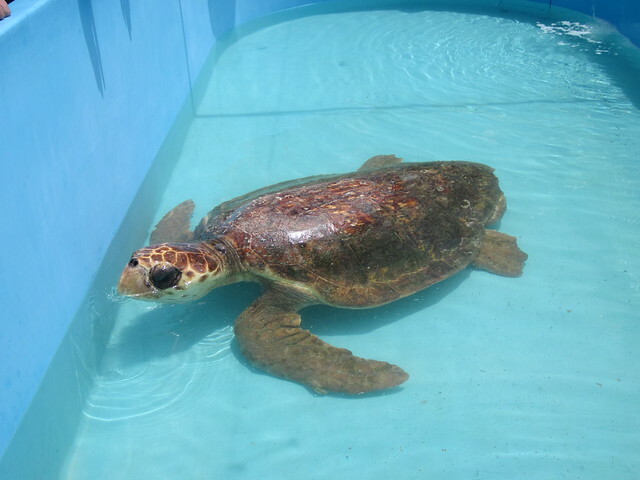 A tour of The Turtle Hospital lasts about 90 minutes and begins with a slideshow of the different types of sea turtles and the reasons for why each species is endangered or threatened. 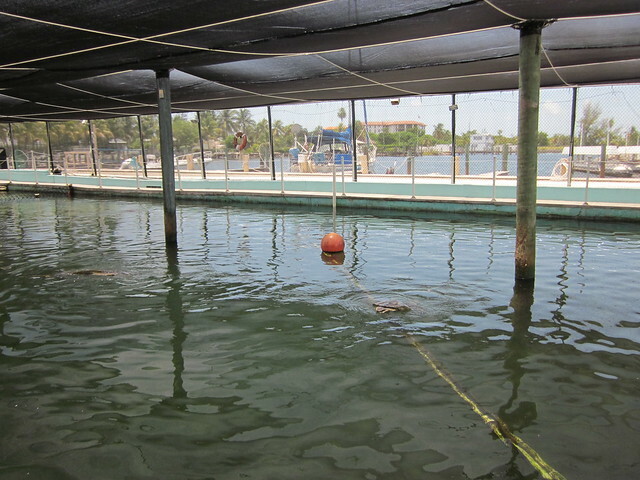 From there, the tour group is escorted into the medical facility where you get to see how the turtles are treated. 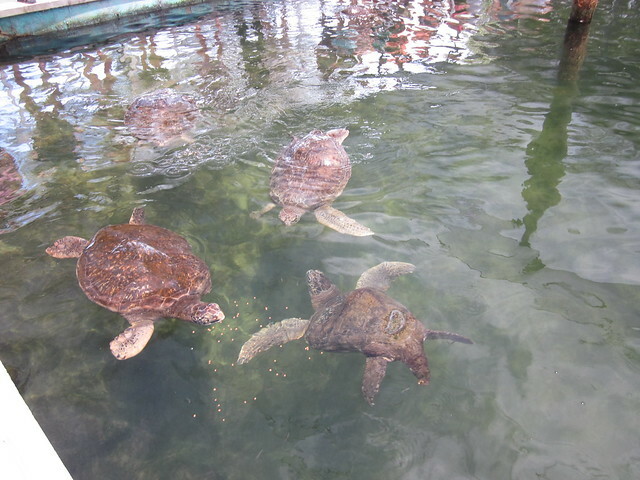 And then comes the fun part: meeting the turtles. 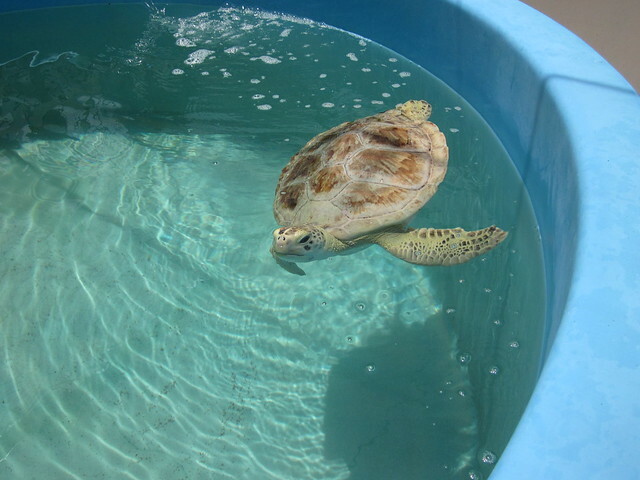 Hearing about each turtle's story and reason for being at the facility is both sad and uplifting at the same time. It's sad to know that so many sea turtles are in need of rescue because of what humans are doing to them, but it's also uplifting to know that a facility like this exists and is doing all it can to educate the public to prevent these beautiful creatures from dying out. 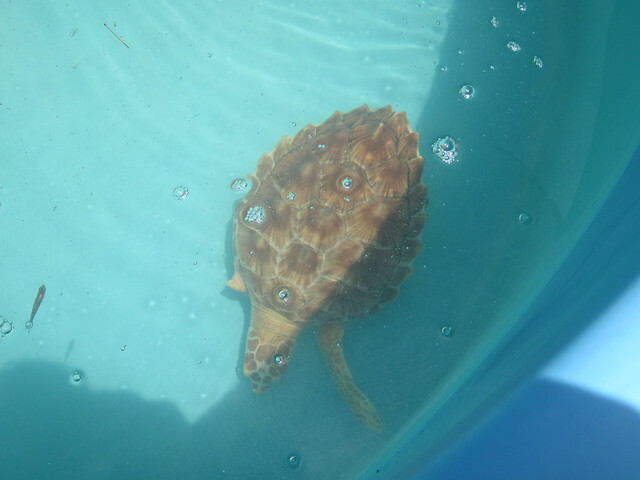 I highly recommend a visit to The Turtle Hospital if you're ever driving through the Keys. Even if you don't have a chance to make reservations for a tour, don't let that stop you from dropping in to see if there is space available. It is well worth the 90 minute detour. I'll never forget the experience of getting to see these beautiful creatures up close and personal. 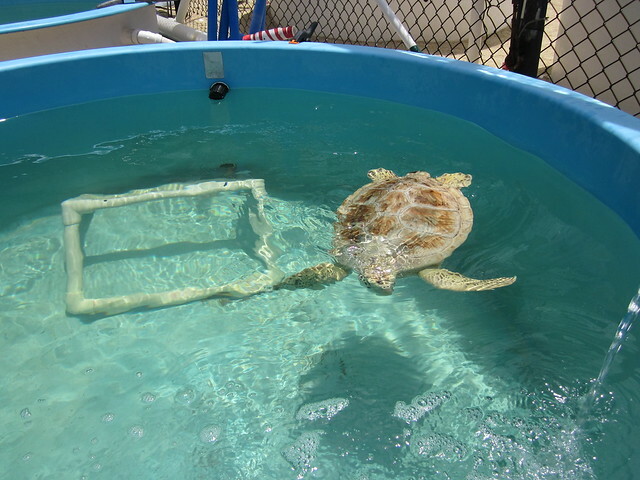 I went to a turtle hospital in North Carolina once, and it was an amazing experience. They didn't have reservations, but we had to stand in line for a long time in order to get in. The experience was worth it though.